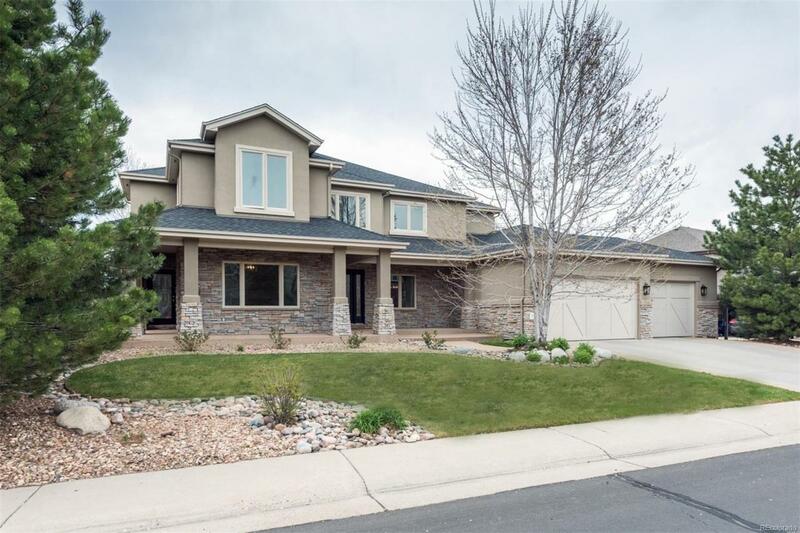 A perfect floorpan, stunning mountain views, large fenced in backyard, oversized 3 car garage and a movie theater are just a few of the qualities that make this your perfect family home! Large open floor plan with a private office make for perfect daily living and entertaining. Putting this house above the rest are formal dining room, spacious living room with gas fireplace, chefs kitchen with large island and built in desk, pantry, breakfast nook and a large mud room. Exterior patio off the kitchen has gorgeous views for large family dinners and watching the children play. Upstairs boasts 4 large bedrooms. 2 bedrooms share a spacious Jack & Jill bath, the sun filled 3rd bedroom has a private bath, and the beautiful master suite has a 5 piece luxurious bath and a office/sitting area with incredible mountain views. The Finished basement has a bedroom, bathroom, large family room and a home theater that includes all equipment as well as tons of basement storage space.